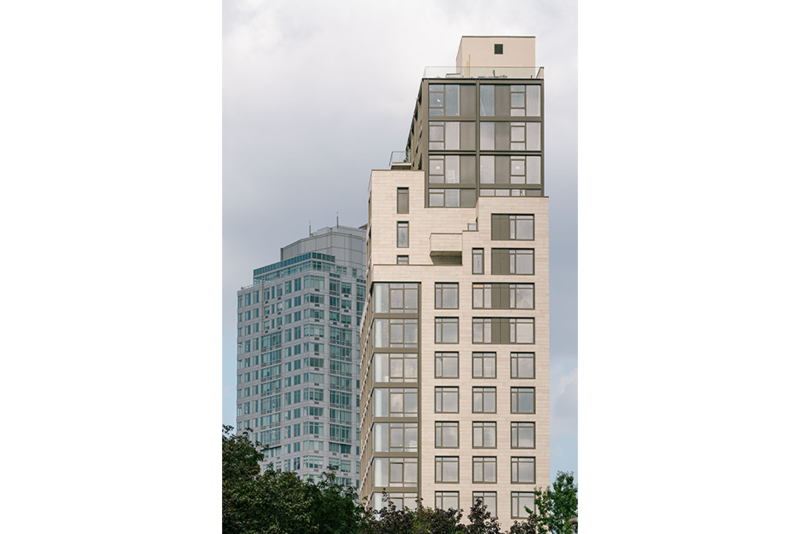 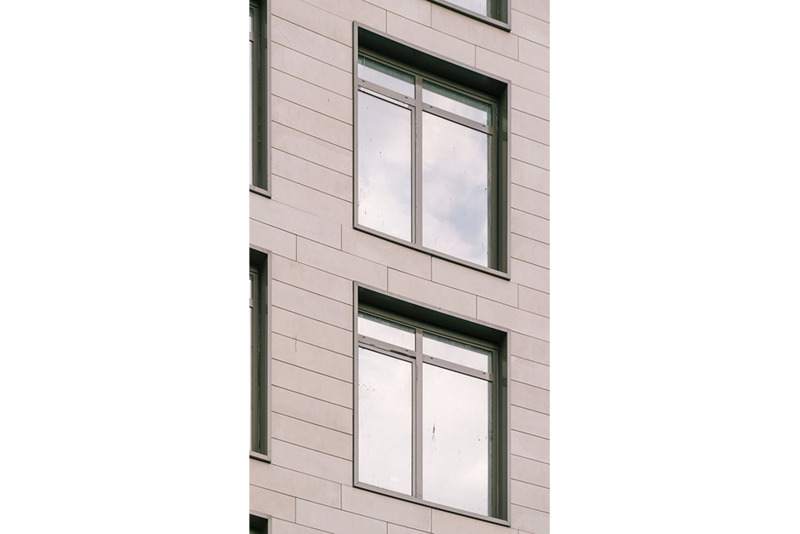 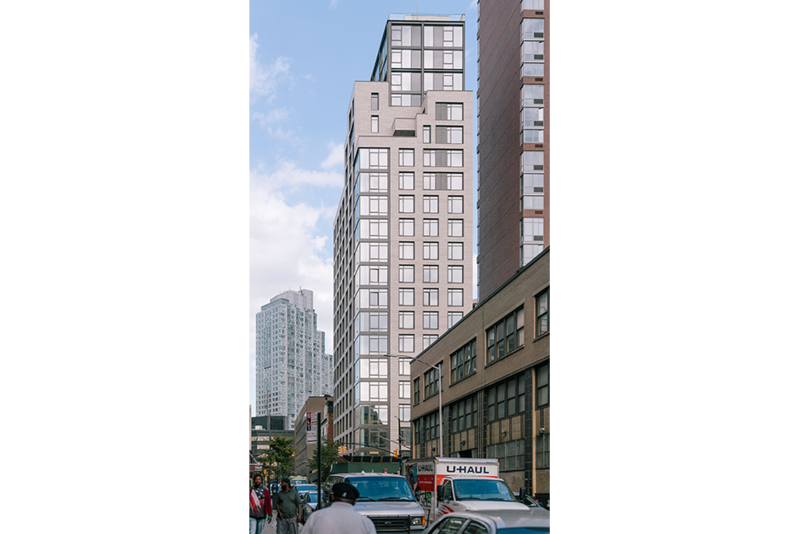 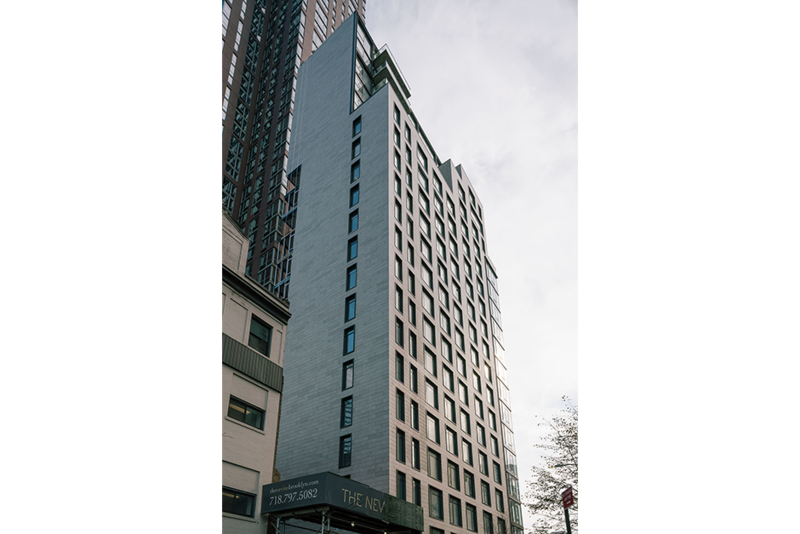 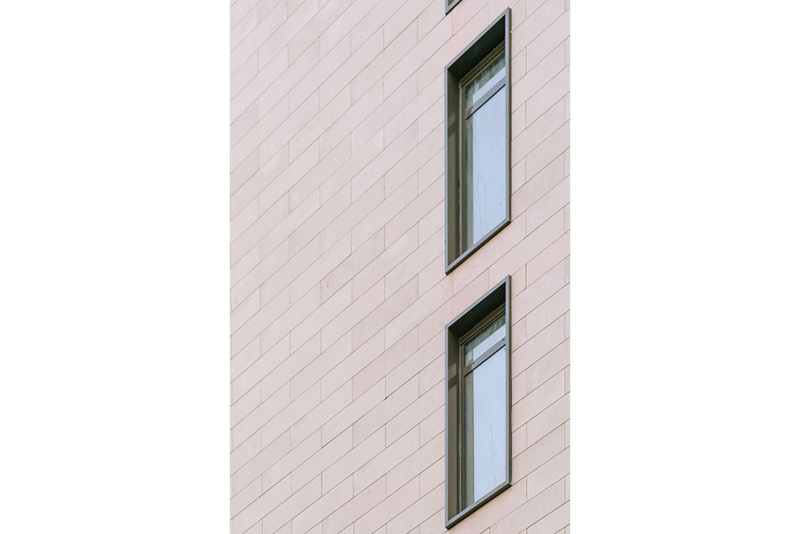 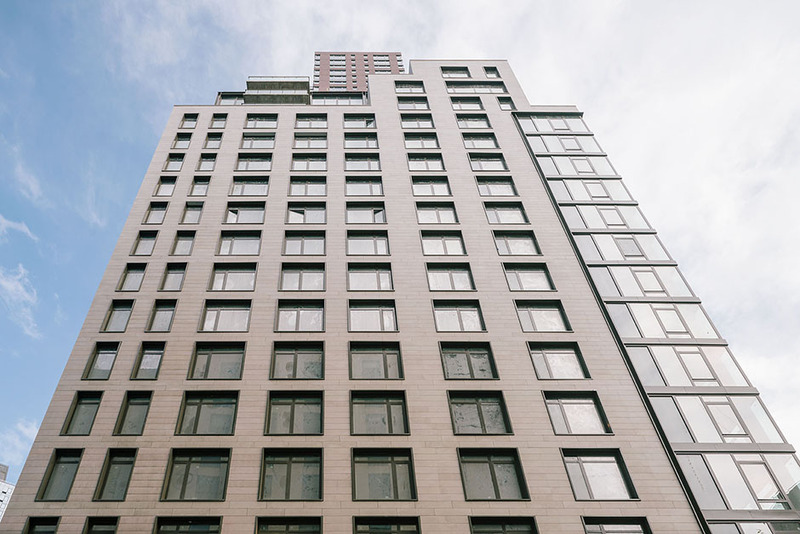 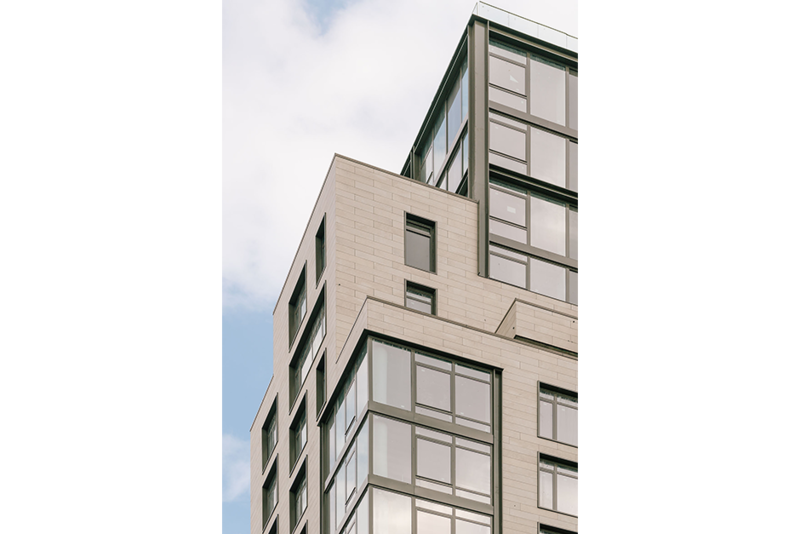 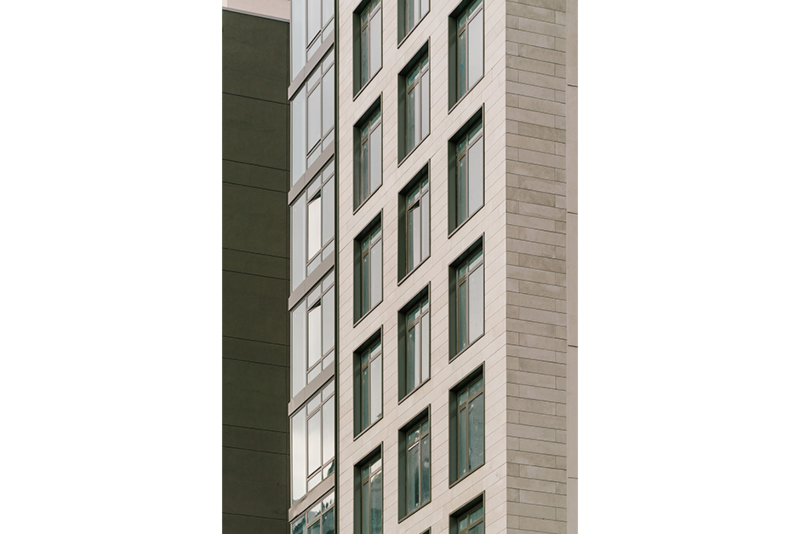 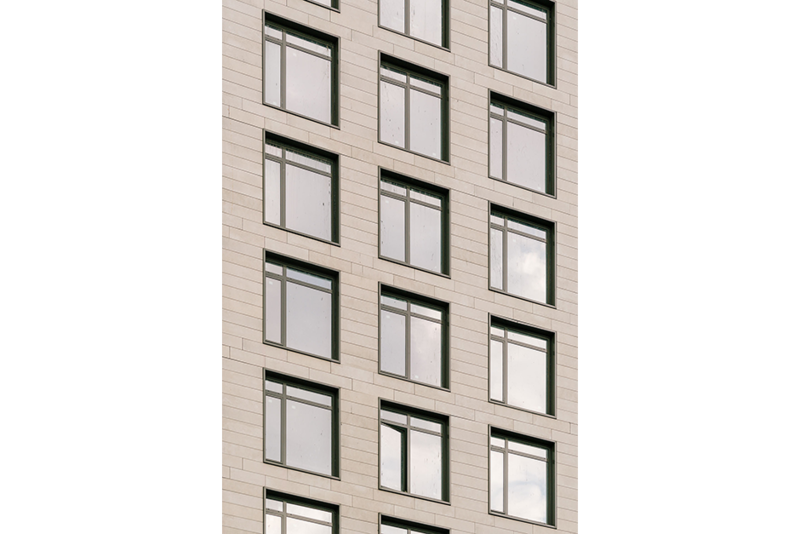 Located in Brooklyn, NY, the facade of this high rise 21 story residential building features Porcelanosa’s Dover Arena porcelain panels. 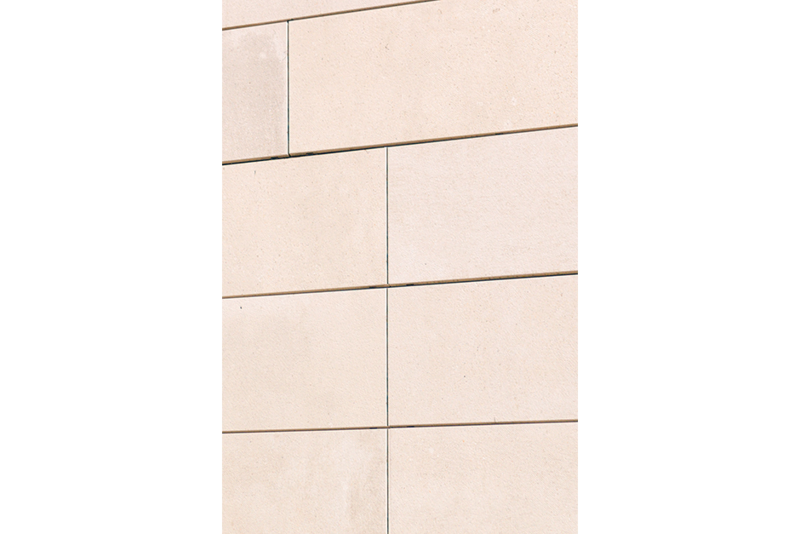 The Dover Arena panels were cut to 12-3/8′ x 47′ (314x1194mm) for this project. 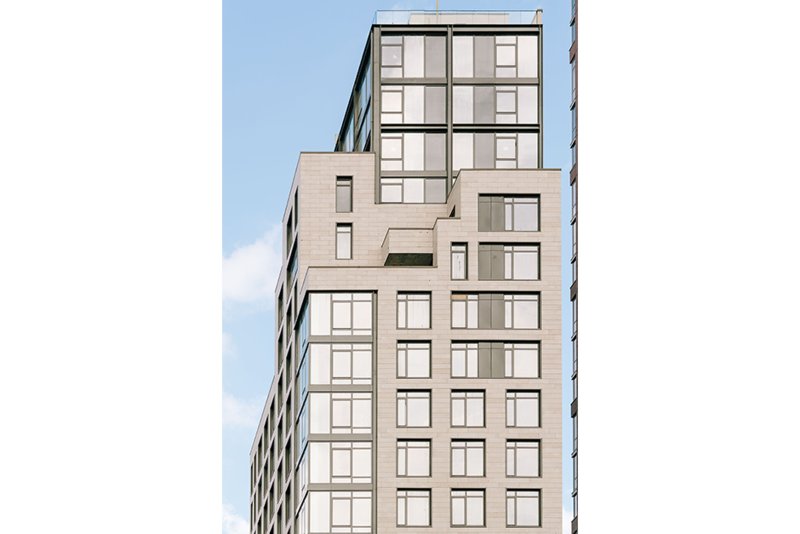 The Nevins features 73 residences ranging from studios to 3-bedroom full floor units.